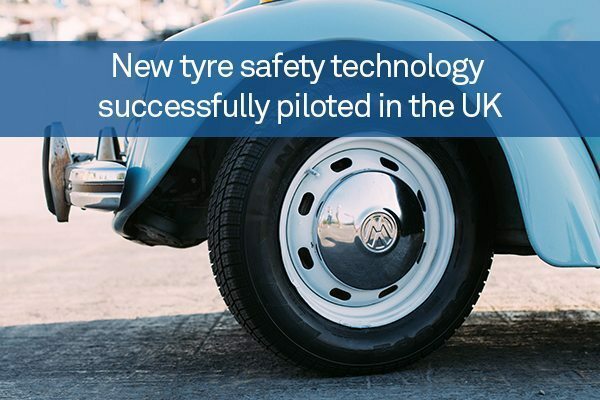 This week saw the end of a year-long pilot study into a new tyre safety technology conducted on the UK’s M6 motorway, and the results have been deemed so successful that its creators are already planning to trial their solution in other markets around the world. WheelRight, an Oxford-based technology company, masterminded the pilot with the backing of Highways England. Its product is a road-mounted sensor plate capable of monitoring the tyre pressure of vehicles in motion, integrated with an automatic number plate recognition camera and SMS functionality to alert drivers when their tyres are underinflated. Since March 2015, the trial installation of the system at Welcome Break’s Keele Services has taken more than 155,000 readings, Traffic Technology Today reports, and ten per cent of users have made repeat visits to the site to check their tyre pressure intermittently. Research from Highways England reveals that more than one in five breakdowns (21 per cent) on Britain’s roads happen because of wheel or tyre defects, and the results of the WheelRight pilot demonstrate clearly that tyre pressure is a widely neglected area of automotive maintenance. According to its thousands of readings, trucks in the UK typically run with at least one underinflated tyre at any given time. Moreover, roughly one in four cars has a tyre that could be considered “dangerously underinflated”. WheelRight believes that its system will help to raise awareness of tyre defects and eliminate the inconvenience to the motorist of undergoing regular tyre pressure checks. The company is now in discussions to implement the system at other sites in the UK, as well as run similar pilots in Europe and North America.